Wrapping a car is not really new stuff, over the years we have seen several trends such as the classic matte colour, then the chrome and lately the velvet. Forget all these, because the space might be the future. Well, not literally. 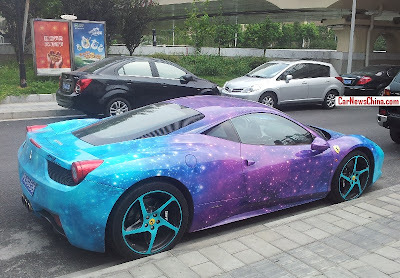 In the past we have seen a Lamborghini LP560-4 wrapped with a very cosmic wrap (Click here for the article), now this theme comes back at the speed of light in China, more precisely on a Ferrari 458 Italia. 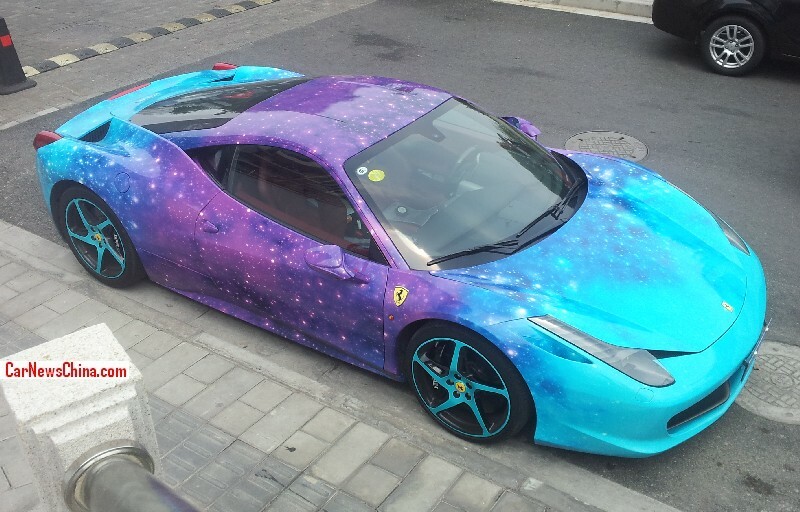 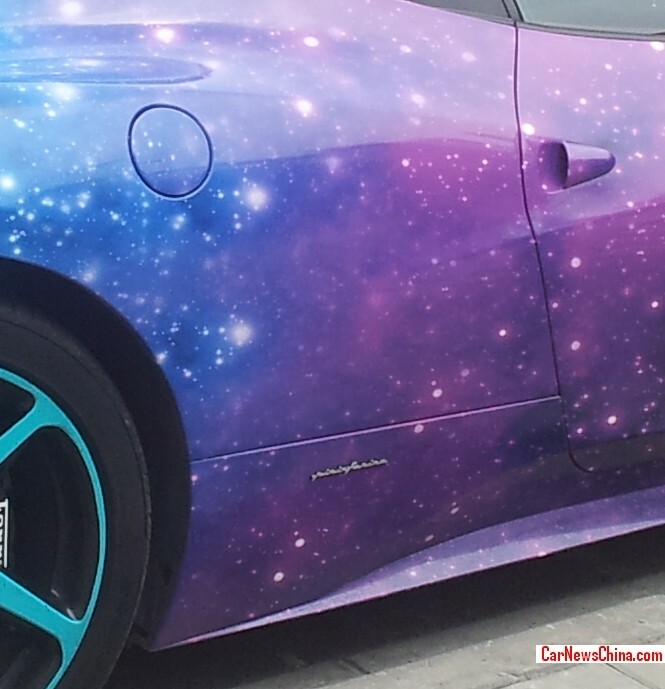 If you really want to stand out, this is a very good way, the wrap looks very well done and it shows all over the car the theme of the space, with also the stars and planets.